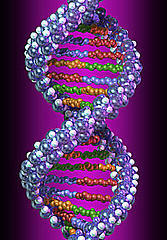 Do you want to know about the Longevity Gene? Research for a longevity gene is bearing fruit. We may not yet be able to predict who will live beyond 100 but recent research finding may hold the key for the prevention and treatment of many age-related diseases. Genetic markers can be used to predict who will live past 100 and they may hold the key for the prevention and treatment of many age-related diseases. Scientists have discovered that how long you live is determined by your genetic make-up. A study published in the journal “Science” in July 2010 analyzed the DNA of over a thousand centenarians and found genetic markers that predict “exceptional longevity” with almost 80 percent accuracy. The study was led by Paola Sebastiani and Dr. Thomas Perls of Boston University. But there is no miracle gene that means the bearer is going to live to a hundred. The study shows that long life results from having many of these markers. There are 150 of these markers and the centenarians who took part in the study each had their own specific combinations of them. These markers can only serve as an indication as to life expectancy, researchers said, but genes are only part of the equation. For most people environment and lifestyle play a much greater role than their genetics, when it comes to whether they will live to a ripe old age. It is only when people live longer than the norm, that genes become important. 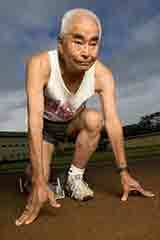 Super centenarians, or people over the age of 110, are extremely rare – in the US they account to 1 out of 7 million. One out of 6,000 people reach 100.Researchers said the task now is to characterize the anti aging genes and biochemical pathways identified in the study. Down the line, such information could be used to find medication for age-related diseases like diabetes, cardio-vascular disease and Alzheimer's, which are less prevalent in centenarians. Although many potential genes were identified in the study, researchers were actually encouraged that the number wasn't higher. About 70 years ago it was discovered that reducing food intake by 30 to 40 percent could promote longevity in animals and this method has also been used by people wanting to prolong their lives as long as possible. Other researchers led by David A. Sinclair and another scientist, Lenny Guarente, have been studying the sirtuin family of genes that they now know mimic the effects of calorie restriction, by controlling he same molecular pathways. They have managed to identify one of these genes, the Sir2, by observing bakers’ yeast and what causes it to age and asking themselves if a single gene could stop it aging. Because these genes are present in such a simple life form, they now know that the Sirtuin family evolved far back in time. Once they had identified the longevity gene, Sir2, in the yeast, they went on to study more complex life forms, and have identified the same gene. They have also demonstrated that aging can be delayed in organisms ranging from bakers yeast to Leishmania parasites, roundworms, flies and even humans, by manipulating a few organisms. They also know that the Sirtuins are found in all these organisms and have established that they dictate the length of life in all of the lower life forms – only humans have still to be tested. Research continues and the scientists believe that medication will result for conditions such as Alzheimer’s, cancer, diabetes and heart disease. Clinical trials have already begun on remedies for neurodegenerative diseases, herpes and diabetes. In the longer term, we expect that unlocking the secrets of longevity genes will allow society to go beyond treating illnesses associated with aging and prevent them from arising in the first place. LONGEVITY GENES FOUND IN HEALTHY PENSIONERS, LIKE THIS 85 YEAR OLD, MAY HELP PEOPLE LIVE LONGER AND PREVENT AGE-RELATED DISEASES. The researchers point out that at the beginning of the last century life expectancy was 45 and it has risen to 75 due to the invention of antibiotics and improved public health. They see a time when people will be able to feel youthful and remain free of many of today’s age-related disease. In the meantime, the best we can do is to improve our nutrition, exercise regularly, avoid habits which sabotage our health and promote those which improve our well-being, and take carefully selected supplements if we think these other measures are not enough or in periods when we need some extra help.